Quantity: 100pcs. Material: PVC. The MOQ for each design is 5pcs. Item weight: 2g/pcs. Size: 2-4cm. Parcel Including: 100pcs different random shoe charms 2pcs Wristbands(1pcs kids Bands and 1pcs Adult Bands) 2pcs Shoe Lace Adapter for Sport/Casual shoes Size: 2-3cm for shoe charms and 18cm for kids bands and 21cm for adult bands Color: As Picture Material: PVC for shoe charms and Shoe Lace Adapter/Silicone for Bands All shoe charms can fit croc shoes ,bracelet and wristband. Decorating your Croc shoes and Sport Shoes Make your shoes more fun Party Kids Gifts. All shoe charms can fit croc shoes ,bracelet and wristband. Quantity: 50PCS Different Random Shoe Charms 1pcs Wristbands(for Kids) 4pcs Shoe Lace Adapter. Item weight: About 2g/pcs for charms and 8g for bands. Our charms can fit clog shoes ,bracelet and wristband. Quantity : (13pcs as shown). make your shoes more fun. Material : PVC. Add LUXURY to your sneakers with these laces! (Universal Laces to any sneakers!). FRESH MARKET SNEAKERS©. For: Jordan 1, Royals, Bred, Chicago, BMP, Sport Blue, asics, ronnie fiegs,etc. FRESH MARKET SNEAKERS© ARE MADE USING STRICT QUALITY GUIDELINES. All shoe charms can fit croc shoes ,bracelet and wristband. Parcel Including: 5sets>>>>100pcs different random shoe charms 2pcs Wristbands(1pcs kids Bands and 1pcs Adult Bands) 2pcs Shoe Lace Adapter for Sport/Casual shoes. 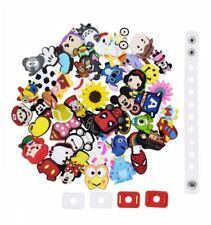 Parcel Including: US Stock 100PCS Different Shape Cartoon Shoe Charms Ornaments For Croc Jibitz Wristbands Size: 2-3cm for shoe charms Color: As Picture Material: PVC for shoe charms All shoe charms can fit croc shoes ,bracelet and wristband. Decorating your Croc shoes and Sport Shoes Make your shoes more fun Party Kids Gifts. Quantity: 100pcs. Material: PVC. The MOQ for each design is 5pcs. Item weight: 2g/pcs. All shoe charms can fit croc shoes ,bracelet and wristband. Parcel Including: 10sets>>>>100pcs different random shoe charms 2pcs Wristbands(1pcs kids Bands and 1pcs Adult Bands) 2pcs Shoe Lace Adapter for Sport/Casual shoes. Product use: Mainly used on Croc shoes /School Bags/Bracelets,,,etc. Quantity: 1200pcs. Material: PVC. The MOQ for each design is 5pcs. Item weight: 2g/pcs. Size: 2-4cm. You are purchasing 2 pant clips The best selling original adjustable pant leg clamps These biker stirrups work great for keeping your pants from blowing up while you're riding. The elastic bands are heavy duty and do not lose their stretch. Fully adjustable for various length pants and different size boots. Keep your pants from bunching up over your boots while walking. Keeps bugs from going up your pants while riding. Can be used inside or outside of your boots or shoes. 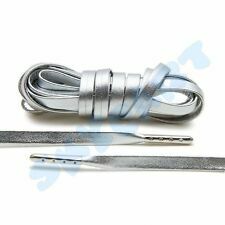 Product features 1.Quantity : 2 pcs 2.The width: 1 inch 3.The minimum length(excluding the metal clips): 5.5 inch 4.The maximum length(excluding the metal clips):10 inch. All shoe charms can fit croc shoes ,bracelet and wristband. Parcel Including: 50sets>>>>100pcs different random shoe charms 2pcs Wristbands(1pcs kids Bands and 1pcs Adult Bands) 2pcs Shoe Lace Adapter for Sport/Casual shoes. 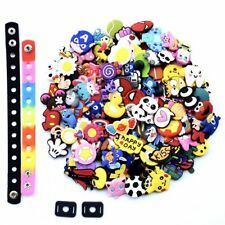 100PCS Croc Shoe Charms Fit Clog Jibbitz Wristbands Bracelets/Shoe Lace Adapter. All shoe charms can fit croc shoes ,bracelet and wristband. 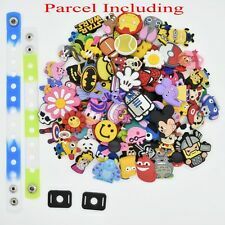 Parcel Including: 100pcs different random shoe charms 2pcs Wristbands(1pcs kids Bands and 1pcs Adult Bands) 2pcs Shoe Lace Adapter for Sport/Casual shoes. These do NOT fit Ultra Boost Sneaker aglets! (Universal Laces to any sneakers!). For: yeezy boost, moonrock, asics, ronnie fiegs,etc. FRESH MARKET SNEAKERS© ARE MADE USING STRICT QUALITY GUIDELINES. Our charms can fit clog shoes ,bracelet and wristband. Quantity : (14pcs as shown). make your shoes more fun. Our charms can fit clog shoes ,bracelet and wristband. Quantity : (9pcs as shown). party favors. make your shoes more fun. LOL 10pc NEW Shoe Charms ALL DIFF For Crocs, Jibbitz, Bracelets, Crafts . Shipped with USPS First Class Package. NEW SEALED 06-07 JIBBITZ SHOE ACCESSORIES FLORIDA STATE UNIVERSITY SEMINOLES. Jibbitz Croc Clog Charms. Jibbitz Croc Clog. JIBBITZ CROC CLOGS. Best jibbitz I've found! High quality, vibrant colors. Cute jibbitz! They are the Perfect Accessories & Fit for Anything W/Holes Sandals, Crocs, Wristbands, Belts, Etc. Our charms can fit clog shoes ,bracelet and wristband. Quantity : (10pcs as shown). style your shoes. make your shoes more fun. NOTE: 50 Shoe Charms of Letters Alphabet Numbers Love Kiss Words Fits for Croc Shoes & Wristband Bracelet 4Pcs Shoe Lace Adapter 1Pcs 7.08in Silicone Bracelet Bands. Material: PVC for Croc charms and silicone for bracelet. Jibbitz Croc Clog Charms. Jibbitz Croc Clog. JIBBITZ CROC CLOGS. Best jibbitz I've found! High quality, vibrant colors. Cute jibbitz! WE LOVE CROC CHARMS. They are the Perfect Accessories & Fit for Anything W/Holes Sandals, Crocs, Wristbands, Belts, Etc. 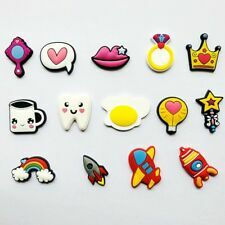 Clog Jibbitz Charm Accessories. Discover Fun And ExcitingCroc Clog Jibbitz Charms to Decorate your pair of shoes. Croc Clog Jibbitz. Have Fun Enjoying Your. Quantity: 50PCS. Material: PVC. 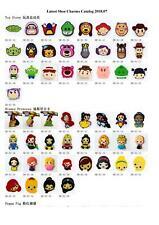 NOTE : We will send 50pcsDIFFERENT RANDOM designs to you so what you get maybe different from the picture. Croc Clog Jibbitz Charm Accessories. Discover Fun And ExcitingCroc Clog Jibbitz Charms to Decorate your pair of shoes. Croc Clog Jibbitz. Have Fun Enjoying Your. 12pcs Resin Round/Heart Flower Shoe Charm Fit Clog/Jibitz/Bracelet Girl Gift. Quantity : 12pcs. Weight : Each about 4g. Croc Clog Jibbitz Charm Accessories. Discover Fun And ExcitingCroc Clog Jibbitz Charms to Decorate your pair of shoes. Croc Clog Jibbitz. Jibbitz Croc Clog Charms. Jibbitz Croc Clog. JIBBITZ CROC CLOGS. Best jibbitz I've found! High quality, vibrant colors. Cute jibbitz! WE LOVE CROC CHARMS. ITS ALL ABOUT HAVING FUN FILLING UP THE HOLES!